Childhood obesity is a socioeconomic issue. According to a new study, Harvard University researchers found that children with better educated parents are less likely to become overweight because they are more active. On the other hand, in the shadows of First Lady Michelle Obama's "Let's Move" campaign to fight obesity, the program's benefits aren't reaching "poorer, less well-educated families" where childhood weight gain, not exercise, is rising. The correlation begins in small numbers with kids between 2-11 years old but as they reach their teens the differences become stark. In 2003, 86.6% of adolescents living with parents who had college degrees told survey-takers that they had exercised or played a sport for at least 20 minutes continuously sometime in the last seven days. By 2011, 90.1% said they had done so. 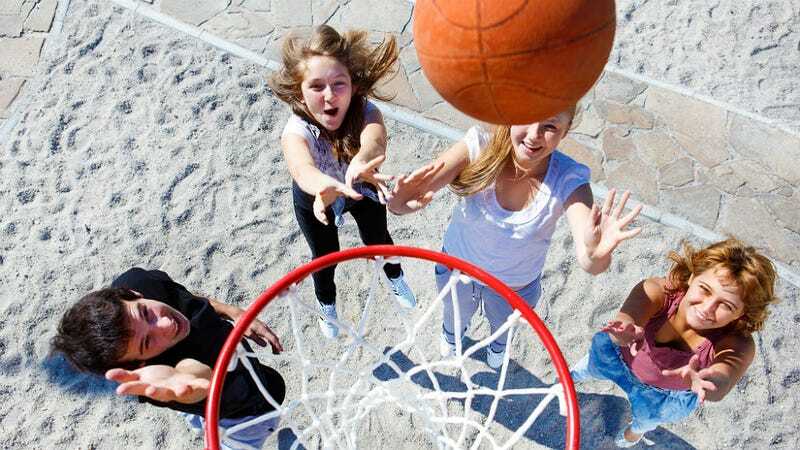 By contrast, 79.8% of adolescent children with parents who did not go beyond high school said in 2003 that they had exercised or played a sport for at least 20 minutes in the last week. By 2011, the numbers of those adolescents who had done so had barely budged, standing at 80.4%. Obesity, in part, has to do with burning fewer calories than consumed. But it's also about genetics, metabolism (Lord knows I miss mine from my 20s … ) and cultural and environmental factors, says the report. Of course, there's another factor: The lack of reasonably priced healthy food. Most of us, given the chance and the cash, would buy all-organic everything. But even if I had the opportunity, I swear I'd feel like Diddy at the Golden Globes; I'm not supposed to be here. But what if you can barely afford the non-organic vegetables? For example, what if you grow up in a home that utilizes SNAP benefits, the state's supplemental nutritional assistance program, and your parent is trying to stretch the approximately $43 per week each of you are allocated for seven days of meals? The food your hypothetical mom can afford won't be the healthiest option. Most likely her choices will fall into the McDonald's range where two people can eat multiple meals and spend about $20. Cheap, yes, but a limp cheeseburger, greasy french fries and a sugary soda won't give a child the protein and nutrients he or she needs for healthy growth, let alone a game of four-square. The fast food menu, packed with preservatives and artery-clogging ingredients, will also contribute to obesity. So while the lack of exercise in poorer households is a problem, that is exacerbated by little access to affordable healthy food. The game is rigged.